The adjustment wasn't overly dramatic, but it still presented some differences. 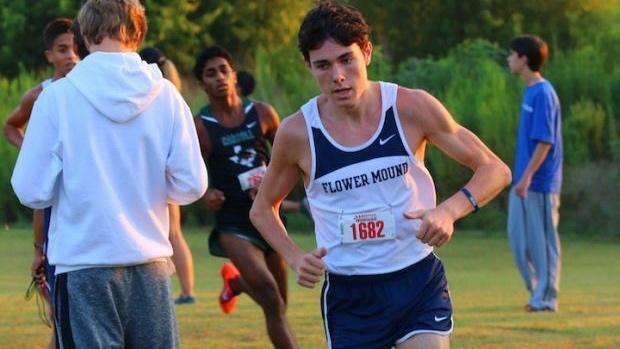 Once the McNeil Invitational in Round Rock was cancelled due to rainfall, Flower Mound (Texas) High junior Alex Maier had to think about how he would attack a new course near Houston at the Nike South Invitational on Sept. 30. "Overall, the mentality didn't shift too much," Maier said afterward, a few minutes after winning the meet in 15:18.80. "I just tried to come out here and run my hardest. I think time wise, because McNeil is a little bit of a faster course, you tend to see faster times run on there then here. But overall, the preparation was the same." A year ago, Maier forged his breakthrough race at McNeil, running a still-personal record 14:43.27. The course at Nike South, on soccer fields at The Woodlands, presented more switchbacks and terrain differences, and therefore challenges. The time was slightly behind pace from last season -- and seven seconds behind what he ran on the same course at NXN Regionals last November -- which meant that Maier ultimately had to evaluate his race differently then he did last year. "Obviously, I want to continue progressing and time is a really big thing for me," he said. "You know, competition changes, but time remains consistent. That's the best way to compete with yourself and improve." But ultimately, Maier was happy with his performance. He's concentrated more on the larger plan, which involves helping his team place as high as possible at the UIL Class 6A championships. "Right now, I'm not really focused on the individual stuff after state," he said. "I'm breaking it up. Right now, I want to help my team as much as I can for state." He continued with that thought. "I try not to put too much pressure on myself," he said. "In the end, I'm doing this because I love doing this, I love the team, I love the guys on it and I love the sport. I don't try to get caught up on too many things. 'Oh, I was this place last year. I have to do this, I'm expected to do this.' I just try and roll with it week by week and do the best I can and the best I can can help my team the most."